There has been a continuous debate on evaluating the impact of tourism on a country’s economy. Sri Lanka in particular has grown from $ 500 million in 2009 to $ 4,000 million currently in 2016 which indicates the power of this sector to a country’s development agenda. What is noteworthy is that 99% of the industry is private sector-driven and hence it also demonstrates the dynamic of an economy when freedom is given to the private sector. Incidentally this performance is on an average economic freedom of 59.9 which in a global average is termed ‘Mostly Unfree’ as per the 2016 economic freedom indicator by the Heritage Foundation and Dow Jones and company. 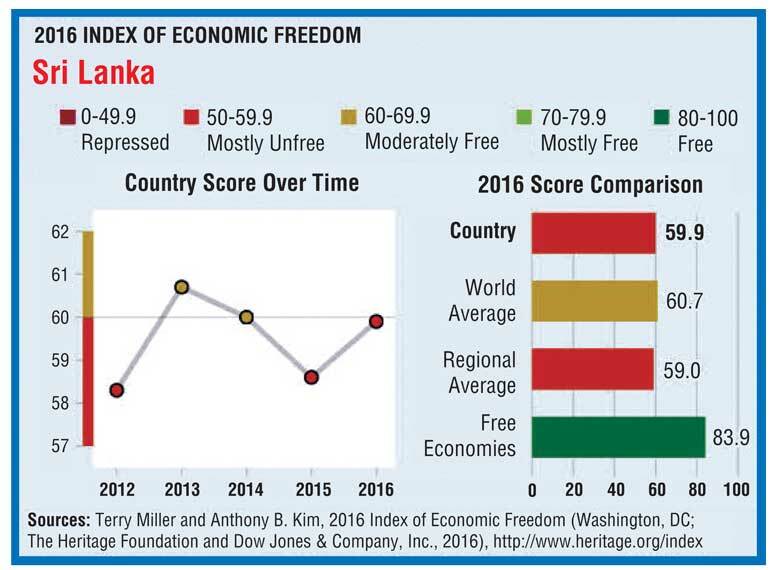 What is noteworthy is that from a repressed situation in 2015, Sri Lanka’s 2016 performance is in the correction direction and hopefully by 2017 we can move to a rating of 70 which is essentially ‘ Free’. This will support the GSP stipulations and also drive further integration with world economies. An area which Sri Lanka must focus on is governance given that the Nation Brand Index has continuously focused on this area and that the $ 78 billion brand Sri Lanka can become $ 100 billion this year with an overall performance of Economic Freedom in my view. The challenge is if the election agenda will hamper this performance in 2017 and 2018. My view is that tourism’s economic contribution of 10.6% of gross domestic product (GDP) and employment share of 10.3% could potentially double with stepped up investment as per the most trendy theories of economic development in a free market, which was the ethos that existed in the immediate aftermath of the war in Sri Lanka. The overall Philippines travel and tourism share of total investment in this country was only 2.7% in 2015. The $ 23 billion commitment for tourism infrastructure in 2017 and 2018 will complement rising private investment in Philippines just like the trend in Sri Lanka. A classic example is the Japanese gaming tycoon Kazuo Okada, whose $ 2.4 billion Manila casino resort complex which opened in December has the propensity to turn the Philippines into “the next Hawaii”. This was the similar direction and thinking that existed around five years ago in Sri Lanka which has its merits and disadvantages that need careful evaluation before making decisions on a tourism strategy and its contribution to an economy. I believe that just like in Sri Lanka where economic diplomacy resulted in more than 300,000 tourists coming to the country in 2016, the Philippines’ diplomacy with China will also be rewarded with rising numbers of Chinese tourists lifting their share of total arrivals from the 12% as of now. Let’s accept it that China holds the top global ranking for international tourism expenditure at $ 292 billion in 2015 from 127.9 million tourist departures. Just like Sri Lanka some years ago, the political realignment of the Philippines distanced itself from the US and moved closer to China, a high-risk strategy but one which has economic benefits just like in Sri Lanka where the Port City project and the Hambatota industrial zones can be pillars for future tourism growth. That will be the link between tourism and economic development in our types of countries. The drawback of this strategy though is that future political conflicts with China could disrupt tourism revenues. This reinforces the argument for tourism policy to be multi-focused rather than the exclusive objective of attracting more Chinese tourists. The research also highlights the Philippines as a “nice place to retire” and promotes the Philippines as a retirement haven by offering a special visa for indefinite stay and multiple entry. This was an interesting angle that gave a new dimension to tourism being considered an export industry rather than it being viewed with a narrow industry focus. A point to note was that the minimum age requirement for the retiree visa was only 35 years, which was an interesting strategy to evaluate. In the region, Thailand is cited as a “global success” in tourism expansion, ranking sixth-highest in international tourism receipts with $ 45 billion in 2015. Last year, tourism contributed more than 20% of Thailand’s domestic output, driven by the estimated 33 million foreign tourist arrivals in 2016. In 2012, the Chinese hit movie ‘Lost in Thailand’ introduced Chinese tourists to the attractions of Thailand, lifting Chinese arrivals from 1.7 million to an estimated 8.9 million in 2016. My mind goes back to the movie ‘Monkey Kingdom’. If only we could have secured the rights to make this part of China’s education program to teach young Chinese children about biodiversity then I guess Sri Lanka could also emulate the Thai strategy of movie-based brand building, a lesson that New Zealand showed the world with the movie Lord of the Rings. I remember meeting the Chinese premier channel in Beijing which included this to the strategy but by then it would have fallen through the cracks without follow-up. Asia-Pacific, with its high share of air travel demand, will make our part of the world focused on development. However, ASEAN’S prospects will ultimately rely on tourist-friendly policies, efficient implementation of tourism infrastructure and facilitated access for foreign investment in tourism projects if one is to ride the wave. In this light, Shangri-la, Mövenpick, Sheraton and Hyatt are classic examples in Sri Lanka that have shed light on country’s development strategies linked to the ASEAN development agenda. If tourism is to be considered an export, we see that from overall merchandise export of $ 11 billion out of Sri Lanka if we add tourism the total export value will touch $ 15 billion. If we consider the export of human talent (Middle East workers from Sri Lanka) then overall exports touch $ 25 billion dollars which is almost 25% of GDP, which in my mind is in line with the global average. 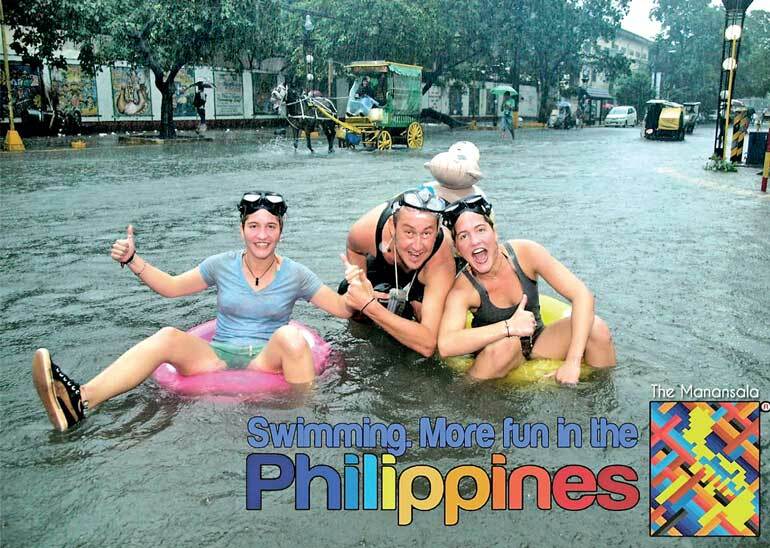 The Philippines’ overall GDP contribution from tourism stands at 7% to the $ 290 billion economy with around 3.5 million people directly employed. The average time spent by a visitor is eight days at around $ 672 spent per capita. Tourist arrivals have increased from one million in 1996 to 5.3 million by the end of 2015 which is interesting since Sri Lanka from just 0.5 million has become a two million destination within just six years. The essence of the strategy of the Philippines is its segmentation and targeting strategy. The top key markets of South Korea, the US, Japan, China, Taiwan and Australia give us an idea of the potential the markets have for earning. Some can argue that it is geography which drives tourism to a country but maybe further research is required to justify this thinking. (The writer is an award-winning marketer and has a double degree in marketing, an MBA and doctorate in business. He has received his executive education at the Harvard Kennedy School. The thoughts in the article are strictly his personal views).